Across the globe, most people would say that Việt Nam’s greatest scenic wonder is the UNESCO Natural Heritage site of Hạ Long Bay. However, some experts are saying that there are even more beautiful geological creations worth travelling to - the caves in Việt Nam. Individuals who have travelled through the caves swear by them. 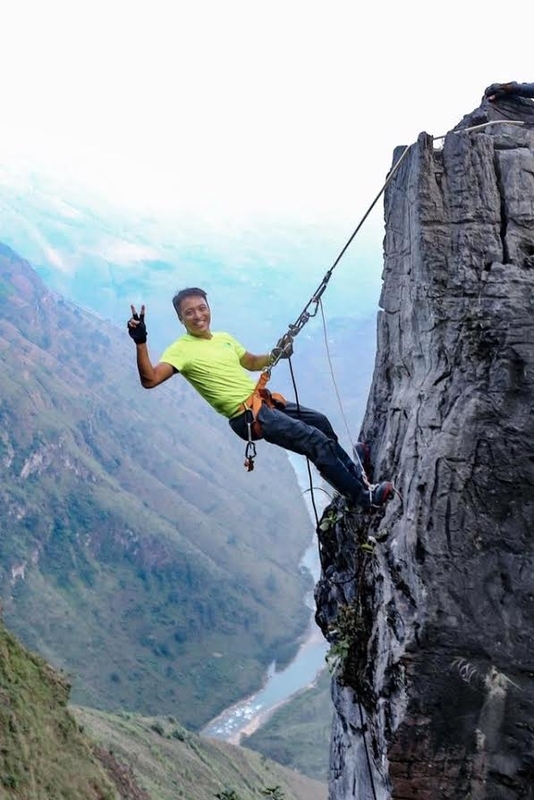 “If you have seen inside [the caves I have explored], you will know that the world beneath us is even more breathtaking than the one we are living in,” says Hà Nội-born Tạ Nam Long, who currently leads the first Vietnamese cave exploration group. 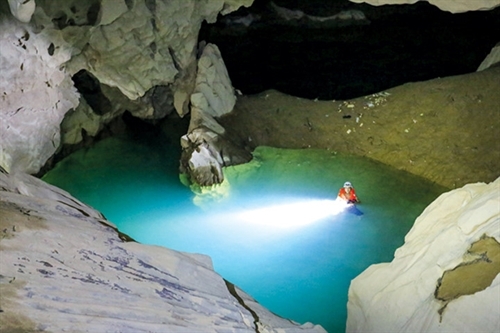 Limbert has mapped 300km of caves across the country including 10 per cent of the caves in Phong Nha-Kẻ Bàng National Park. Limbert is certainly not exaggerating. According to National Geographic, Việt Nam’s Sơn Đoòng Cave currently stands as the largest cave in the world and is estimated to be “between two and five million years old”. Lonely Planet says that Oxalis Adventure Tours, the official tour operator that guides travellers into Sơn Đoòng, sold out their 2017 tours in only 20 hours. Today, there are various professional groups exploring the hundreds of caves in Việt Nam. 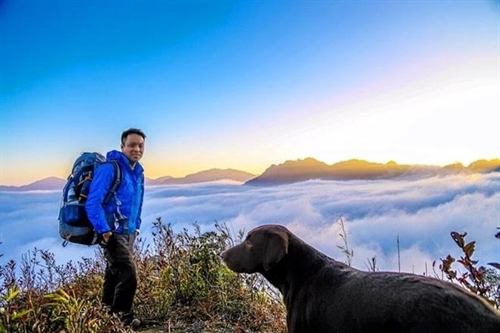 One famed cave enthusiast is Tạ Nam Long (Long Icon), 31, who has conquered over 20 large caves across the country. 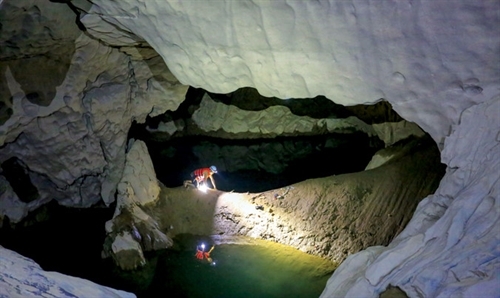 “My passion for cave exploration began unintentionally around two years ago. 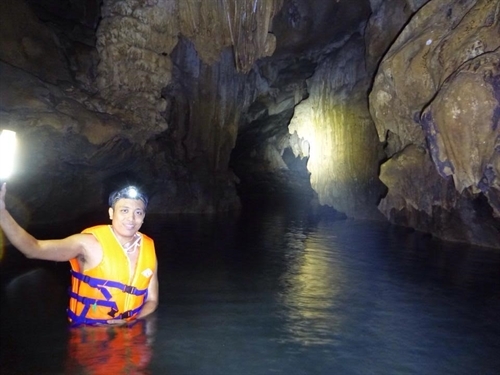 A friend of mine from Thanh Hoá Province invited me to explore a cave near his hometown,” Long recalls. 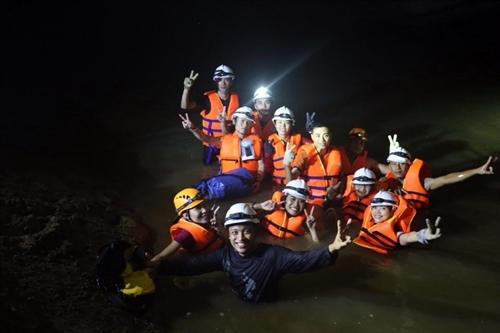 “I returned to Hà Nội, and seeing the lack of discussion about cave exploration in Việt Nam, I created a Facebook page to bring together people who shared my passion,” says Long. Furthermore, to pursue his passion for cave exploration more seriously, Long even went so far as to quit his studies towards becoming a doctor. Their worries were certainly justified. 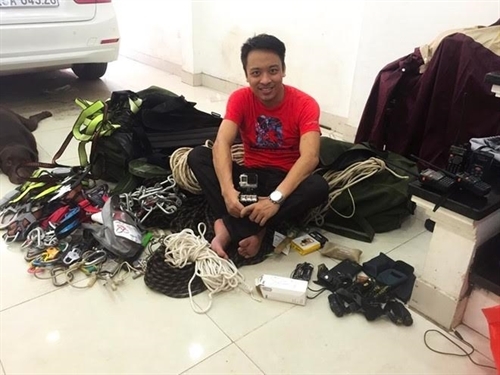 Long’s recent trip to Cống Nước Cave left him hospitalised for several months needing treatment for his spine, arms and legs. Long’s expedition to Cống Nước Cave took six months to prepare for because he needed to order the necessary equipment and map out his path. Indeed, people may now safely enjoy the beauty of these caves thanks to those who have bravely ventured into them before. 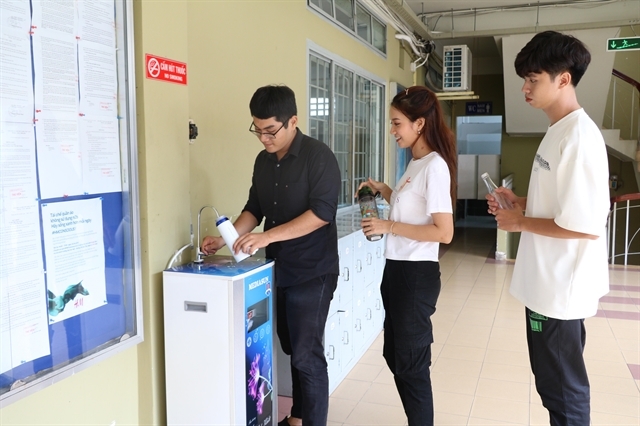 “For example, from the smallest thing like touching the caves with our hands, to manners regarding waste disposal, it’s very important that we do not carry bacteria from the outside world into the cave. “My hope is to attract more people to try out cave exploration, and to encourage those who are interested by providing the necessary support and information when needed. In my group, I try to capture the beauty of our travels through photographs to allure people to join us,” he continues. Long also agrees that there is something magical about exploring caves. “It’s beautiful because it feels like a different universe down there. The soft echoes of water and the absolute darkness makes me feel like time has stopped - even if it is just for a very short moment,” he says.